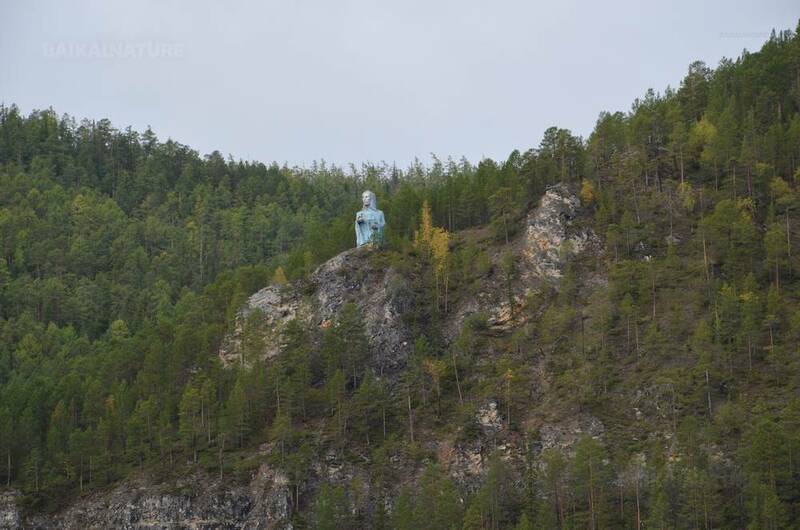 This tour gives you the opportunity to explore one of the most mysterious regions of Siberia: Yakutia. 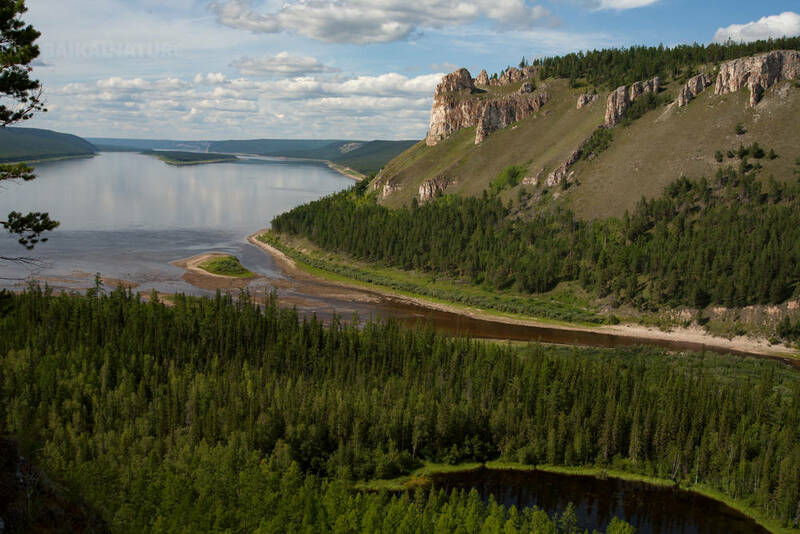 Aboard the cruise ship you will sail up the third greatest river in Russia: the Lena River. 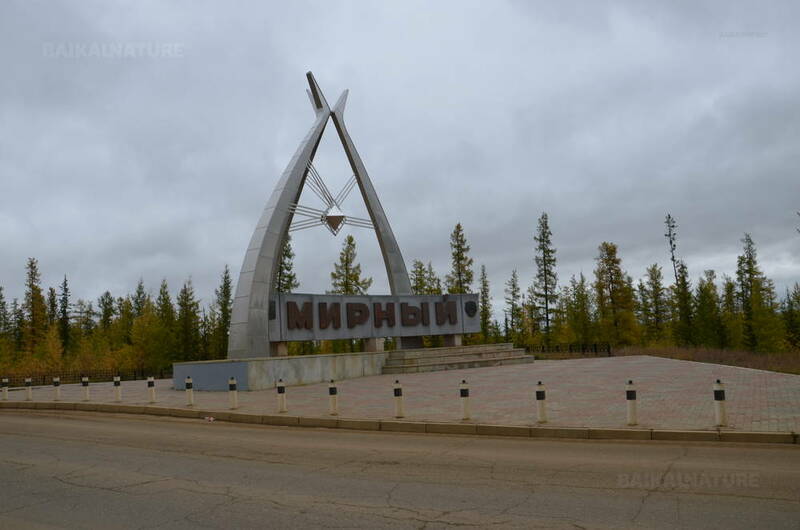 You will begin your tour with a visit of Yakutia's capital: Yakutsk. Then, as soon as the ship gets going you can admire the beautiful landscapes and distinctive features that the banks have in store, including the Lena Pillars and the impressive Lena Schyoki Canyon. 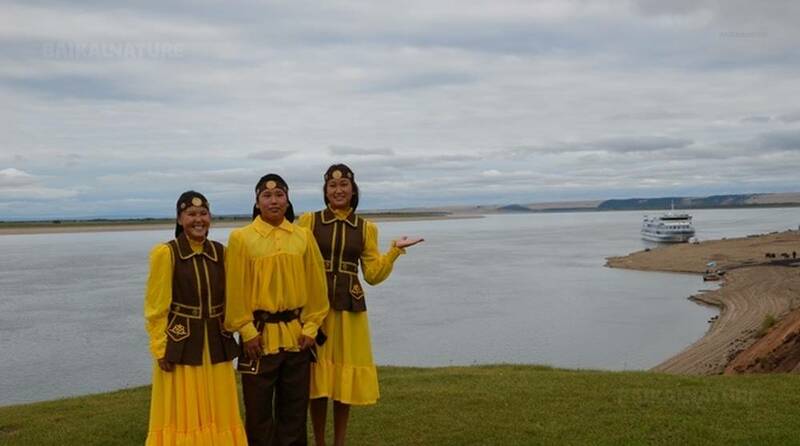 This cruise will also allow you to meet the Yakuts, whose history and daily life is intimately linked to the Lena River. The cruise is held on board of the ship "Mikhail Svetlov" (or "Demyan Bedniy" - the sister ship. Technical description: year built - 1986 (1985), length - 90,3 m, width - 15 m, maximum speed - 21 km/h, cabins - 66, accommodation - 210 berths expedition. Rest. Start of the navigation. This day we will go to the Sottintsy village where the open-air museum. Excursion to historic-architecture open-air museum "Druzhba" ("Friendship") located on the place of the primary foundation of the "Lensk fortified town" founded by Russian cossacks, the future city of Yakutsk. The Museum shows samples of ancient wooden architecture in traditional Russian and Yakut styles. 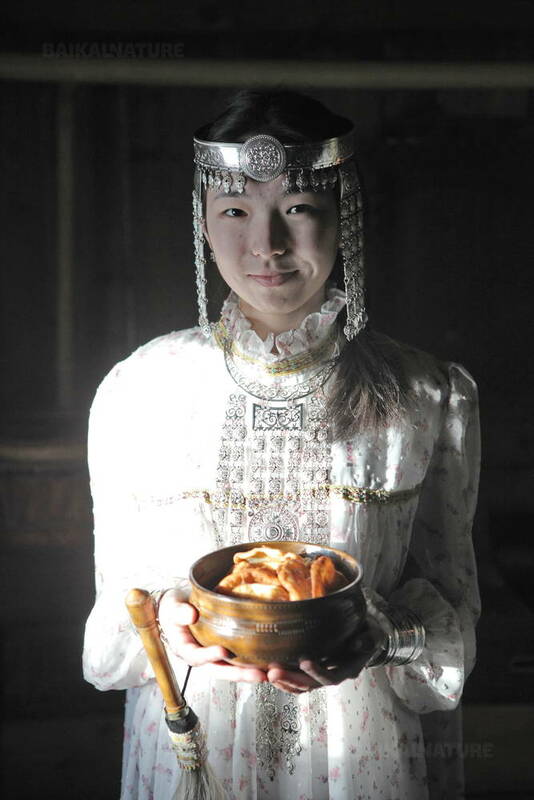 The wooden home utensils, national Yakut clothes and monuments of Russian Orthodoxy are very interesting. Wonderful landscapes and interesting historical excursions make the museum visit both informative and pleasant. 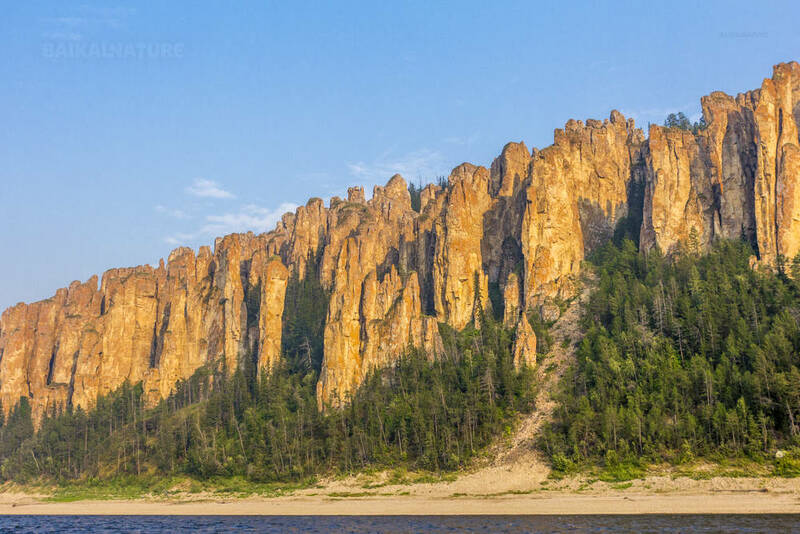 Stay in the "Lena Pillars" national park where one can see steep rocks - in the form of 200 meters high pillars that are stretched for 40 km along the river. One can distinguish colonnades, arches, battlements in their shapes. You will enjoy a wonderful rest in this fairy "land". After having a welcome ceremony with ritual dance and "Purifying with fire" ceremony you will be taken to rock massif (a trip for tough and strong people!). There is no way to express how you will feel up there. From the top of one of the "towers" you will get a magnificent view of the great river, endless taiga zone and rocks. Looking up at the sky in all its different shades of colours one really feel like he is a part of this untouched nature. You will spend this day on board. Navigation from the Buotama river till the Dapparai river mouth. 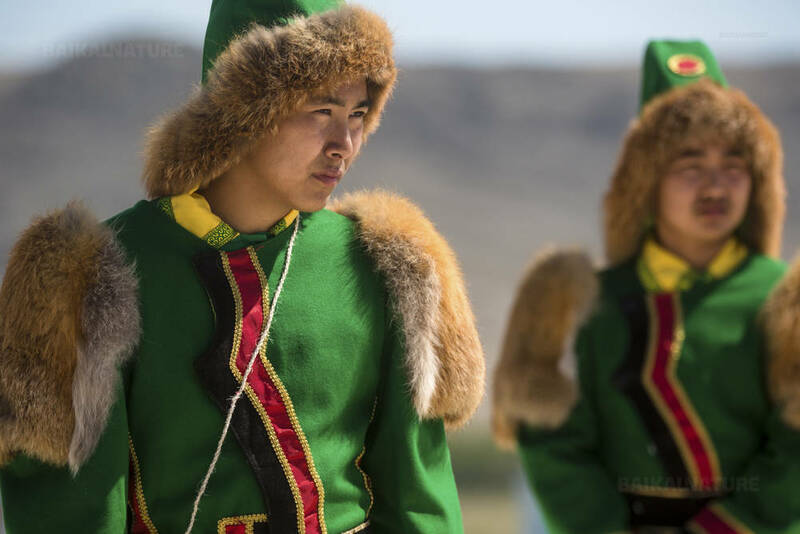 On board you have a possibility to watch films about Yakutia and attend lectures about culture and history of the regios. On the riverside you will be welcomed by the folklore concert and local rites. Our station is situated on the Lena River’s right bank. It’s not far away from Dapparai river mouth. Dapparai is a nice place for fishing. If the height of water is normal you will go to the sand and stony riverbank or deserted wood trails. Also you will enjoy an autumn beauty of taiga nature. 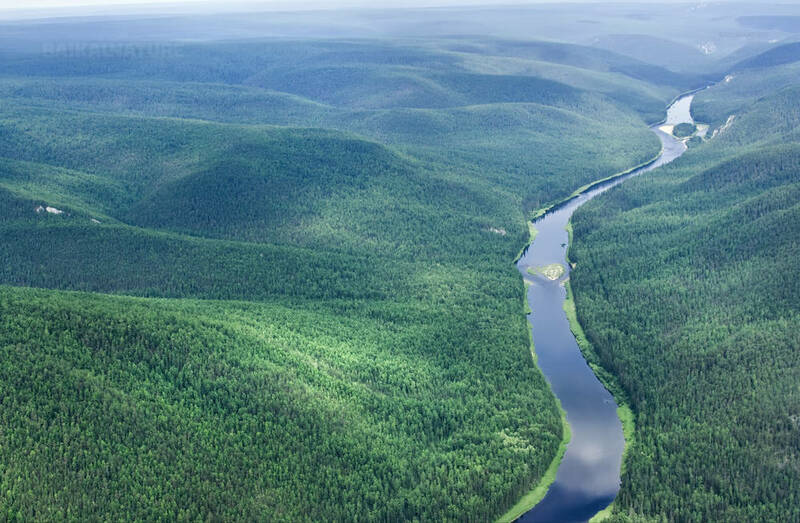 A picturesque green site on the left bank of the Lena River which is located 887 km upper Yakutsk city, right where the Ura River divides the Lena River in two equal parts –a source and an estuary. Sailors often call the Ura river estuary "Lena's equator". According to the tradition everyone who visits this place must bathe into water. Those who appreciate extreme experience can even try swimming in the "warm" waters of the Lena River (but it is recommended only to "ice swimmers"!). Departure early in the morning. Breakfast (lunch-box). City-tour in Mirnyi, visit of the quarry "Mir", of the museum of kimberlites, excursion to centre of diamonds triage. *If you go for this excursion, the lunch will be proposed in the city. *Return on board in the afternoon. *The excursion costs 6000 RUB (the price can be changed a little). For those trourists who don't go for the excursion, there is a good possibility to discover the city of Lensk or simply to relax and have a rest. 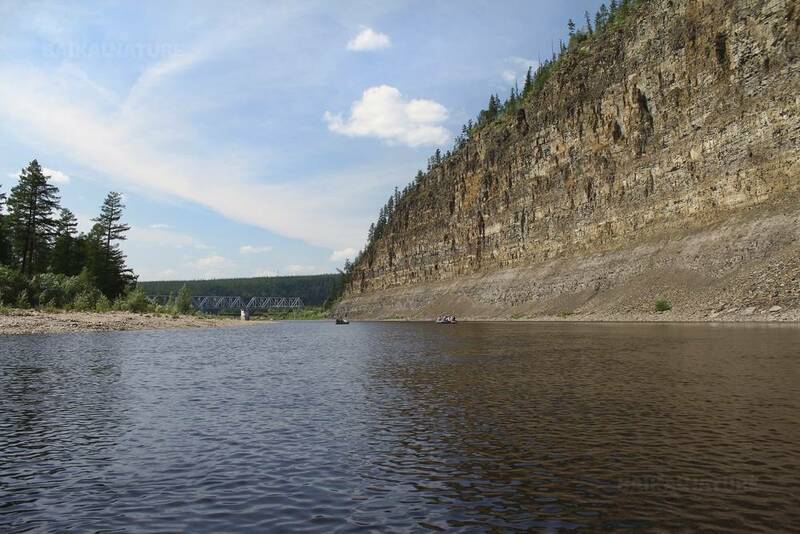 Vitim is a right tributary of the Lena river. It is formed by junction of Vitimkan and Cheena, one of the wildest and oldest rivers of South Siberia. Great expert of the area academician V.A. Obruchev wrote that Vitim was more original, magnificent and impressive than the slow Lena. The full length of the river is 1978 km. The Vitim River is technically complicated, with various set of natural obstacles. Navigation is made difficult by the important rush of water caused by autumn rain. 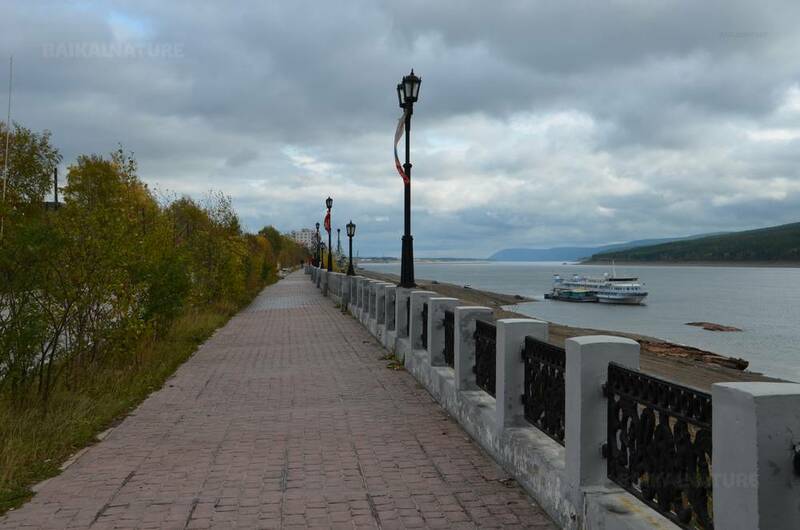 At the river mouth is you can find the village of Vitim, which totals 6 000 inhabitants. Within the framework of mega-project and the growth of the Talakan oil deposit, a city is to be built right there in the near future. We will visit the local school where the local history museum is situated. The Lena Schyoki are located 269 km far from Kirensk downstream and 172 km from the Vitim estuary upstream. It is narrow canyon made of three copper-like red cliff formations that rise 200m above the river. 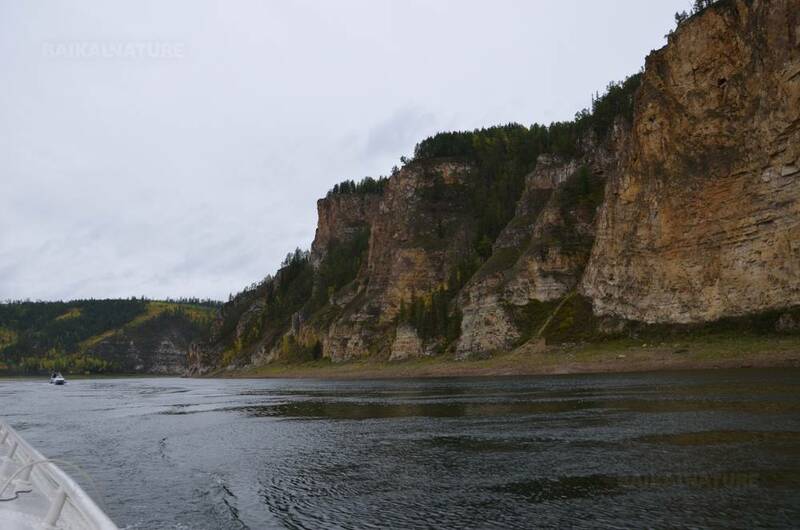 These fancy cliffs covered by forests are one of the most beautiful and renowned places in the Lena River area. According to description of I.A. Goncharov in his book "Fregate Pallas": "These are huge magnificent rocks that I hardly saw on sea shores. They are wild and scary, and one just wants to pass them and get it over with". The river sheers from the first "cheek", comes to the second located right opposite the first one and then goes to the third, the biggest rock formation. The walls of the flexuous canyon reflect the sound of the ship 24 times. On the left bank there is a rock called "Drunk bull". This area is the narrowest on the Lena river (only 200 meters) and the most dangerous one. Lensk is a large river port which mainly serves the import-export traffic for the diamond extraction company ALROSA. It was built in 1963 in the Mukhtuya village area which was founded in XIX century as a post station on Prilensk road. Nowadays it is a modern town with a developed industry and cultural center. Lensk has a really tragic history linked with floods that swept away the town several times. But as a Phoenix bird the town was reborn again and again. In 2001 the town suffered its worst natural disaster. Since then a new block was built (with ALROSA's money) to replace the damaged wooden houses. You can enjoy the untouched nature and greatness of the Lena territory in the area of the Olekma River estuary. The first settlement of Olyokminsk - yasak winter houses - was established in the Olekma River estuary in 1635. Olyokminsk was also the place where the Decembrists were sent in exile. Old believers also settled there as they were looking to escape the reforms. Agriculture including crop farming was widely developed here due to mild climate. In Olyokminsk are located the woodworking industry and plaster mine. Just a little bit further lies the Chara River which is known for its deposits of rare semi-precious purple stone. This day you will go to the tributary of the Lena - Buotama. Buotama is a right tributary of the Lena with a length of 418 km. 40-30 thousand years ago this land was inhabited by hunters to mammoths and bisons. Lots of prehistoric settlements were discovered here. There are hundreds of years the river basin was rich in mineral which was produced iron. Nowadays in the taiga it is possible to find primitive kilns of the time. 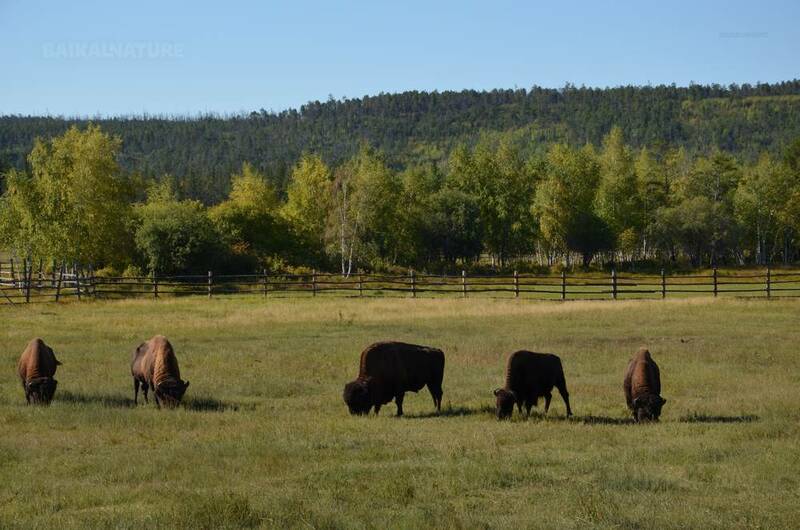 In 2006 near the source of the river Buotama a breeding center for bison was founded to restore the population representatives of mammoths family. The animals were transported from Canada. The buffalo breeding center of 100 hectars is unique in Russia. The price is for one person and includes accommodation in a twin cabin. The price is fixed in euros. Single supplement - 840 euros. Everyday lectures about Yakutia, the Russian language classes and movie demonstration are offered. Thematic entertaining program in the musical saloon will be available in the evening.